Our new iPhone 6 has arrived and we currently have an offer for a new iPhone 6 16gb with no upfront cost on a Business contract with 02. 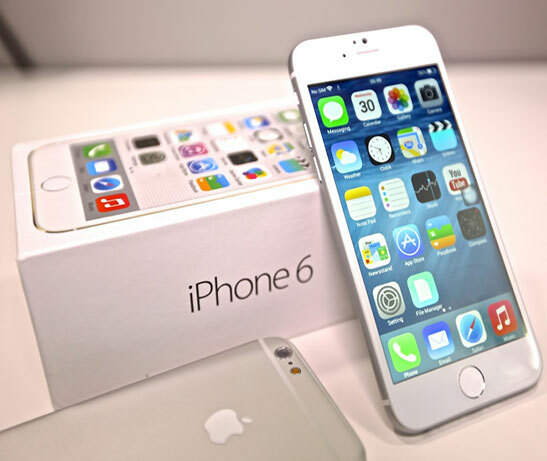 The new larger iPhone 6 was released this month packed with features to make it the business phone of choice. The 4.7 inch screen has been been the biggest change on Apple’s new release when compared to the previous versions of the iPhone. The new iOS 8 operating system provides powerful internet browsing and loads apps seamlessly. The device also has improved Wi-Fi capabilities offering greater internet speeds for browsing, conference calling via FaceTime. Read more on the features of the new iPhone 6. For more information or to take advantage of this iPhone offer; call Cathy on 028 71 341111 or email cathy@dialogictelecom.com.